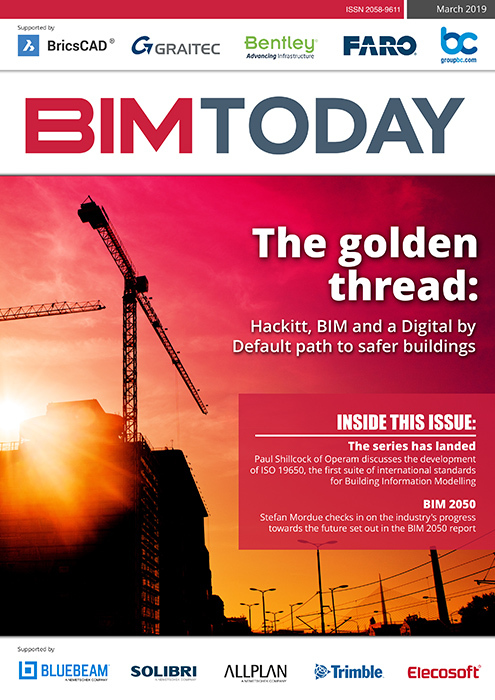 Welcome to the November 2017 edition of BIM Today. 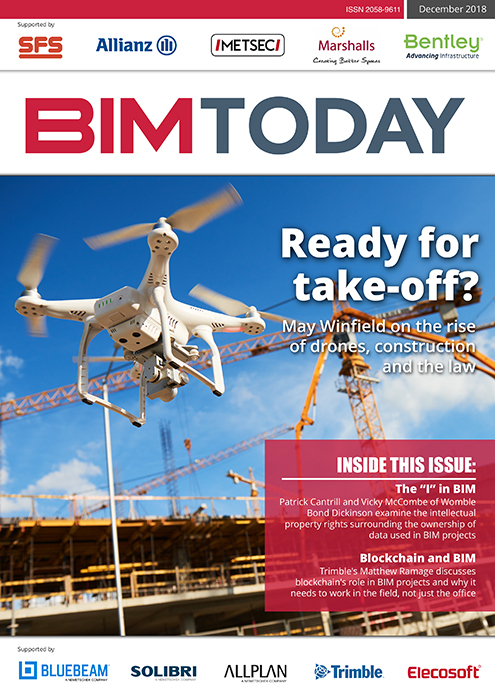 This issue includes a wide range of articles from across the BIM community, looking at everything from “future-gazing” on the way forward for construction to BIM-powered asset management and to the legal ins and outs of controlling project data. 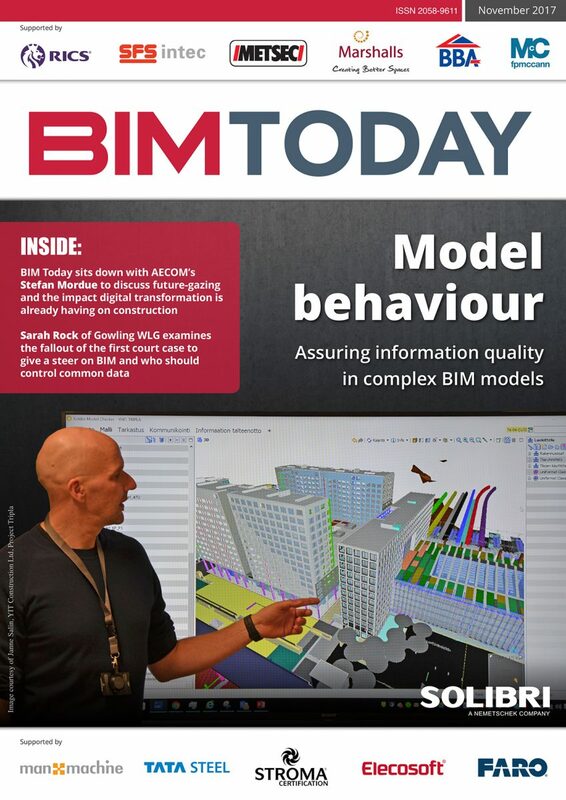 BIM Today talks to Aecom’s Stefan Mordue about how shared data is shaping the future of construction – and the impact BIM is already having. 2. Digital transformation – Evolve or die! John Eynon of Open Water Consulting says the time to hesitate is through – join the digital revolution or be left behind. Trant Engineering Ltd v Mott MacDonald Ltd is the first court case to focus on BIM in a substantive way and raises important questions about who should host and manage the common data environment, says Sarah Rock of law firm Gowling WLG. The focus on the value of data in offsite construction is understandable but, cautions Lee Mullin of Autodesk, the importance of geometric design information cannot be overlooked. BIM is often thought of as a technology for new developments. But, says Paul Bryan of Historic England, it also has a host of applications in conserving heritage buildings. Alex Goodfellow, Chairman of the Structural Timber Association, discusses the launch of the first timber frame BIM library and why it’s time for SMEs to embrace digital working. 7. BIM and GIS: What the Information is going on? Although BIM and GIS are often thought of as separate tools for separate professions, Mike Shilton, Chair of the Landscape Institute Digital Practice Group, looks at how the two can work together. 8. Collaborate to innovate: How could you prepare for a digitalised construction sector? Elizabeth Kavanagh, head of HR, innovation and research at Stride Treglown, examines the culture change required by the move towards a digitalised construction sector and greater collaboration. Adopting new technology can be daunting but, argues Steve Mansour of CRL, the potential benefits for both builders and end users mean it is time to embrace connected construction. BIM certification isn’t just about a badge; it’s about making BIM capability business as usual. BRE Group’s Paul Oakley discusses a new partnership with Graitec designed to make that a reality.